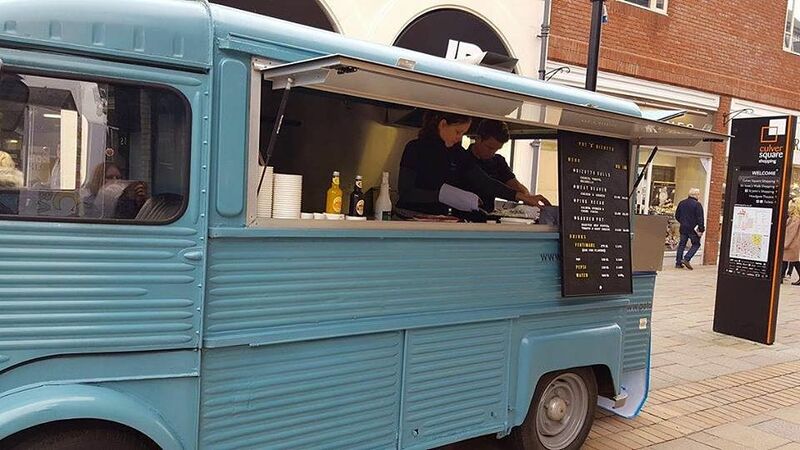 Selling delicious risotto from their eye-catching vintage Citroen HY van, Beata Illes and Christopher Vine, with support from enterprise agency Nwes, have turned their business dream from idea to reality. We spoke to Beata and Chris about Pot O Rizotto and their dreams for the future. Tell us more about Pot O Rizotto and how the idea began? With a passion for food, and Chris’ background as a fully qualified chef, when we were considering starting our own business, we knew we could make a success of mobile catering with a unique product. The idea for Pot O Rizotto was born. We make a number of different risotto options from scratch, including vegetarian dishes and arancini rice balls. Since launching Pot O Rizotto in September 2016, we visit events and festivals in and around Colchester. We also take our vintage catering van, affectionately named ‘Betty Bleu’, to local events and festivals to encourage visitors to ‘get some rice into their life’. What have the highlights of your business start-up been to date? The highlight of our business start-up to date has, without a doubt, been the great customer feedback and kind words about our food. Having gained our first customers on our very first day of trading, we were delighted with the praise we received. It gave us both an incredibly satisfying feeling. Competing against a market where burger and chip vans have had a strong hold for many years, it can be a difficult to challenge people’s perceptions of what good quality street food should be like. However, with determination and our unique dishes, we have powered through and have a firm following and ambitions for the future. We anticipate that if we can get into places where people go for eating we will be fine. We were delighted to secure a pitch in one of London’s food markets, and we hope to replicate this in other locations due course. How has Nwes supported you and Pot O Rizotto? Having attended a free bookkeeping and taxation workshop offered by Nwes, Business Advisor Lou Cessford worked with us to help us perfect our application for a Start Up Loan, which we used for general start-up costs and to refurbish Betty Bleu. Lou will also support us to push Pot O Rizotto forward, via the Start & Grow programme. After taking full advantage of the free workshops and 1-to-1 advice available through Nwes, we are aiming to take Pot O Rizotto to Kerb, one of the biggest street food markets in London within the next two years.